EY has unveiled plans to invest a billion dollars in new technology solutions, client services and innovation, as part of a two-year strategy effective immediately. The new round of funding - emphasising EY’s commitment to advising and implementing technology solutions - is in addition to the existing, “significant” annual investment made by the business. “In this transformative age, businesses and governments are under significant pressure to not only keep pace, but get ahead of the vast disruption and technological change,” said Mark Weinberger, chairman and CEO of EY. “We see enormous opportunities in helping clients address these challenges and stay ahead of the technology curve. Alongside increased investment, Nicola Morini Bianzino has joined as global chief client technology officer and Steve George as global chief information officer. Rounding out the revamped worldwide leadership team is Barbara O’Neill, global chief information and security officer. 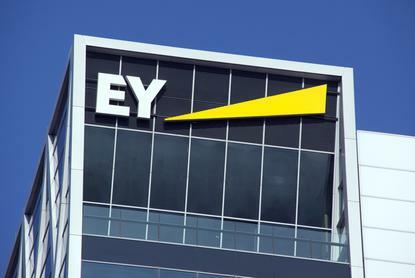 According to Weinberger, the triple appointment will help drive the EY digital transformation and innovation agenda. “These appointments complement our existing investments in innovation including our global artificial intelligence (AI) and blockchain labs,” he added. “Over the past year we have initiated, pioneered and launched a number of innovative services such as the use of blockchain in marine insurance and in the automation and payment of royalties and the piloting of the use of drones in inventory observations.